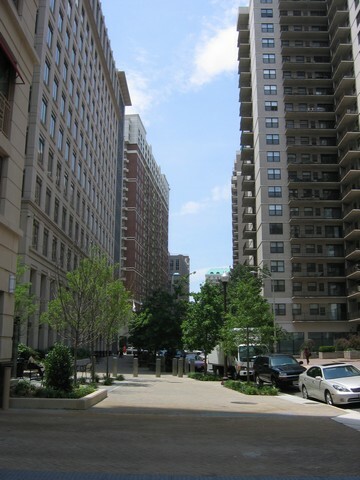 Ballston high-rise (on right), Arlington, VA, where I stayed with "V" and her roommate during first DC area visit, June 26, 2008. (http://therealestatedirt.com). I’ve lived in the DC area now for nearly thirteen years, but it was this time two decades ago that I came to the DC area for the first time. This was my first vacation ever as an adult, and the first time I’d gone on a vacation of any kind since my mother took me and my older brother Darren on a day trip to Amish country in Pennsylvania at the end of third grade, in June ’78. The visit had as many layers to it as a Vidalia onion, as it involved my past, present and future, and all at once. At the center of my visit was spending time with my Humanities classmate and friend “V,” the valedictorian of Mount Vernon High School’s Class of ’87. I crashed at her and her roommate’s place in the Ballston section of Arlington, Virginia for a week during my spring break in March ’92. As I said in a previous post (see my “A Friendship Changing Lanes” post from October ’11), I’m not sure how our acquaintanceship ever became a friendship. Somewhere between having circumstances in which our fathers weren’t around consistently, or at least being able to relate to Billy Joel, or both of us scoring “5”s on the AP US History exam. Healey Hall (front gate perspective), Georgetown University, Washington, DC, September 19, 2010. (Daderot via Wikipedia). In public domain. The fact that we went our respective ways, to Pitt and Johns Hopkins, helped. The fact that we wrote each other about some of our social triumphs and challenges helped more. Most importantly, it helped a lot that we both were more honest about our family troubles. Everything from my mother’s need to divorce my idiot ex-stepfather and the issues with my younger siblings to V’s mother’s health issues and her struggling with burnout trying to watch over her family while going to school. So, by the time I began my second semester of grad school, we’d become fairly close. I hadn’t seen V since the day before New Years Eve ’88, the last Friday of that year. I hadn’t planned to visit V at the start of the year, but by the middle of February, I needed a break from Pitt and graduate school (see my “Paula Baker and The 4.0 Aftermath” post from January ’12). As I knew that I was two months away from finishing my master’s, I had begun to check out some alternatives to doing my history PhD at Pitt. 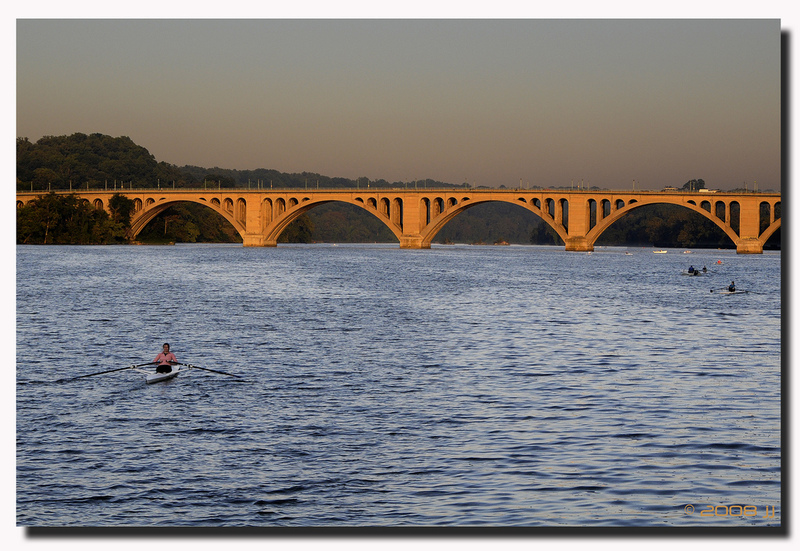 Key Bridge, connecting Georgetown area with Rosslyn section of Arlington, VA, at sunset (picture taken from west), September 18, 2008. (Jersey JJ via Flickr.com). In public domain. Through Dr. Transatlantic Studies himself, Marcus Rediker — he was a Georgetown University history professor who somehow had been given an empty office in Pitt’s history department — I made arrangements to do some informational interviews at Georgetown during my early March spring break. As soon as I told V of my opportunity to check out Georgetown, she offered me a place to stay for the week. I made arrangements through a couple of friends driving to Virginia to have them drop me at V’s that first Saturday in March. The trip was a whole series of firsts and seconds for me. I rode Metrorail for the first time, went to Capitol Hill for the first time, and visited Howard University for the first time. I also spent one full day hanging out with V at Suitland High School in Prince George’s County, Maryland, where she was a first-year math teacher. Other than a couple of rowdy students, V was a very good teacher, and not just for a rookie. My meeting at Georgetown went pretty well also. I managed to get a sweatshirt out of the deal, one that I still wear to this day. Aside from that, finding out from a then second-year grad student (and now and associate professor in African American history at Georgetown) that his annual stipend was only $7,500 a year in expensive DC made my decision for me. 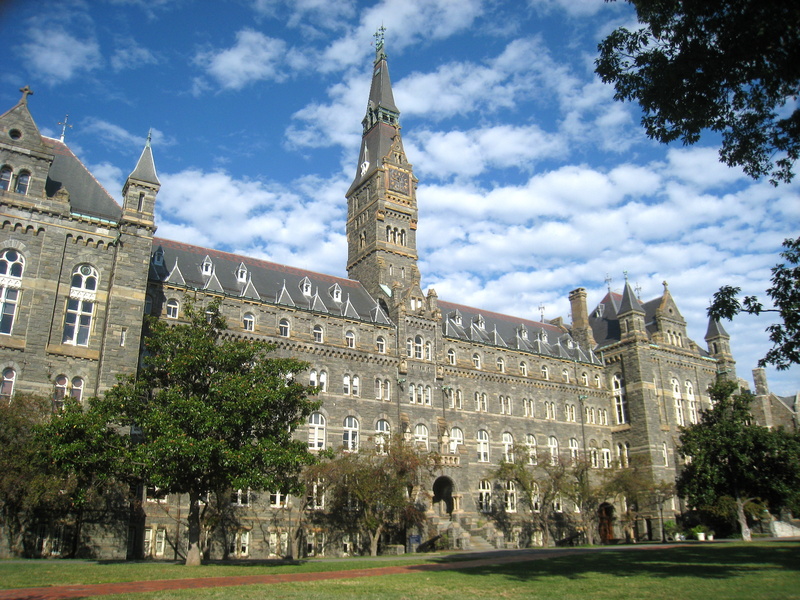 I decided that despite the name recognition, Georgetown wouldn’t be where I’d earn a PhD. I also visited with V’s sister and mother toward the end of that week. V’s sister was in the process of transferring to Goucher, a far cry from the rising high school freshman I’d last seen a week before my freshman year at the University of Pittsburgh. V’s mother seemed happier in Virginia than in New York, but medically speaking, she had gotten worse since ’87. Her speech was slower and more slurred, and her upper body motions were even more limited than I last remembered. It was a reminder that as much as things had gone well for V over the years, she also faced the intense pressure of trying to care for a slowing dying mother and her sister, and all at twenty-two years old. What I came away with from that week as my friends picked me up the following Saturday afternoon were two things. One, that I really liked being in an area with great diversity, with Whites, Blacks, Latinos and Asians from all walks of life, but without the rude chaos and energy that was and remains New York. Two, that V and I had truly become friends, as adults in our twenties, mostly unattached from how we saw each other when we were in Humanities and high school.